BIRN’s new film ‘Your House was My Home’, about how war forced villagers in Serbia and Croatia to exchange homes with each other to save their lives, premieres on Al Jazeera Balkans on Tuesday. ‘Your House was My Home’, which tells how Serbs and Croats from Kula in Croatia and Hrtkovci in Serbia swapped houses and moved to each other’s villages after the outbreak of war in 1991, has its television premiere on Al Jazeera Balkans on Tuesday at 5.05pm local time. The half-hour documentary follows the stories of two of the villages’ residents – Goran Trlaic, who left Kula for Hrtkovci, and Stjepan Roland, who left Hrtkovci for Kula. Before the 1990s conflict, Kula was predominantly populated by Serbs, while the majority of the people in Hrtkovci in Serbia. “There has never been ‘humane relocation’ except in the heads of nationalist leaders and their devastating policies in the 1990s in the former Yugoslavia,” said the film’s director, Janko Baljak. “Relocations of this kind were carried out forcibly and left unimaginable consequences on the lives of people and on relations between nations who lived in peace and harmony before the war,” he added. “The duty and obligation of engaged documentary film maker is a continuous fight against short-term memory,” he said. The Summer School is organized in cooperation with the Media Program South East Europe of the Konrad Adenauer- Stiftung, Open Society Foundations and the Austrian Development Agency (ADA), the operational unit of Austrian Development Cooperation with the support of EU.. The Summer School is organized in cooperation with the Media Program South East Europe of the Konrad Adenauer- Stiftung, Open Society Foundations and the Austrian Development Agency (ADA), the operational unit of Austrian Development Cooperation with the support of EU. 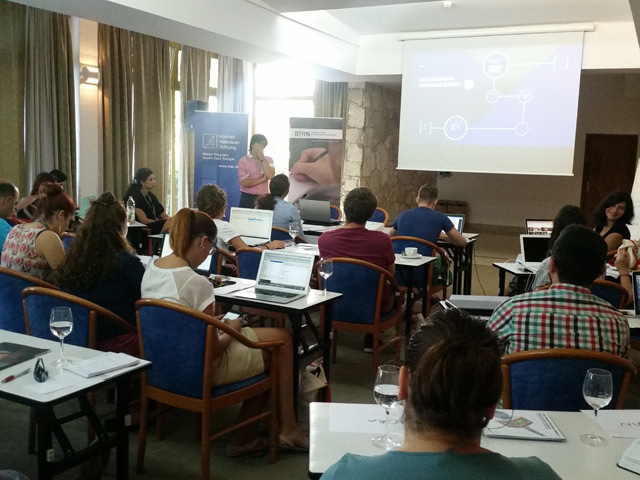 BIRN’s Summer School continued on Tuesday with sessions exploring data journalism and fact-checking methods. 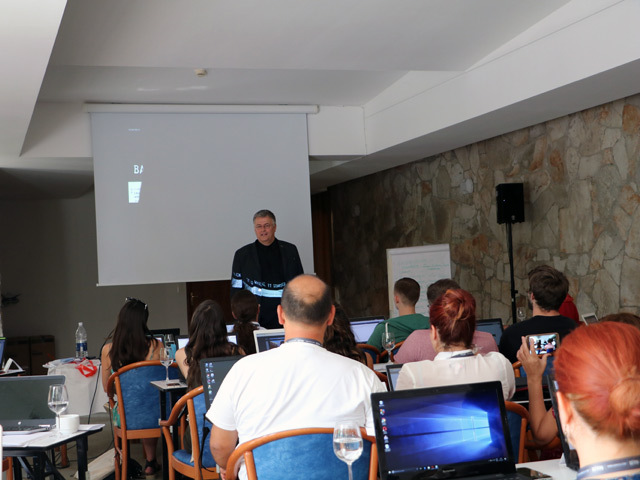 s.
BIRN’s latest Summer School opened on Monday in Dubrovnik with interactive sessions on advanced digital research and use of open data sources. After greeting this year’s participants, Blake Morrison, the school’s lead trainer and investigative projects editor at Reuters, held an interactive exercise and discussion about the challenges of investigative reporting. Morrison shared sources and interview techniques and tips on researching complex investigations. The first day continued with an introductory workshop on data journalism led by Christiaan Triebert, a conflict researcher with Bellingcat, a multi-award winning collective that uses online open source information to investigate armed conflicts and corruption. During the workshop, participants learnt about the analytical tools needed for data journalism while Triebert explained the process of a digital open source investigation, research and verification, and how to use digital tools to uncover corruption and crime. “There is so much information available online,“ he said. Henk van Ess, who works with various European media and Bellingcat, meanwhile showed how to go “fast and furious with stuff that seems impossible to validate”. Van Ess shared plenty of practical tips to validate information from social media and other open sources. In the afternoon, the participants were divided up into smaller groups for in-depth sessions with Reuter’s editor Morrison. The Summer School is organized in cooperation with the Media Program South East Europe of the Konrad Adenauer- Stiftung, Open Society Foundations and the Austrian Development Agency (ADA), the operational unit of Austrian Development Cooperation with support of USAID Macedonia. The BIRN Summer School of Investigative Reporting works to enhance the reporting skills and journalistic standards of journalists from the Balkans and beyond, training 20 journalists from the Balkan region and 10 international journalists each year. Every year BIRN gathers renowned international investigative journalists and experts to train the Summer School participants, including Sheila Coronel, professor at Columbia University; Nick Davies, the journalist for The Guardian who revealed the Rupert Murdoch affair; Mark Schoofs, a ProPublica Senior editor and two-time Pulitzer Prize winner; and Paul Bradshaw, one of the UK’s most well-known bloggers. BIRN also provides financial support for the top story ideas generated during the School. 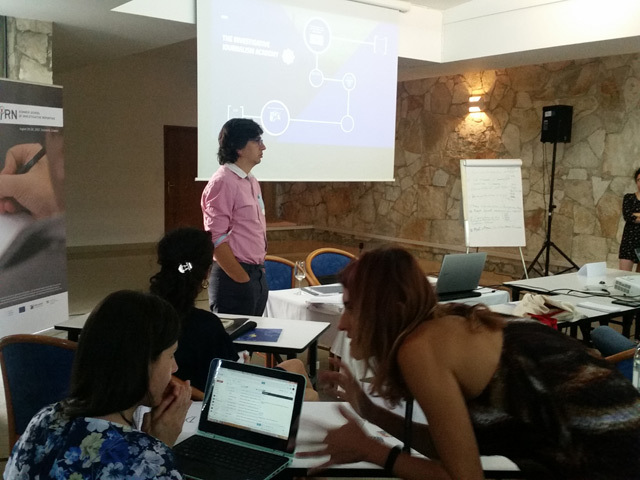 Summer School participants are divided into groups, where they develop their story ideas, and they then conduct investigations and produce a story that BIRN publishes on its flagship news portal- Balkan Insight. The Summer School also provides networking opportunities for the journalists who attend. 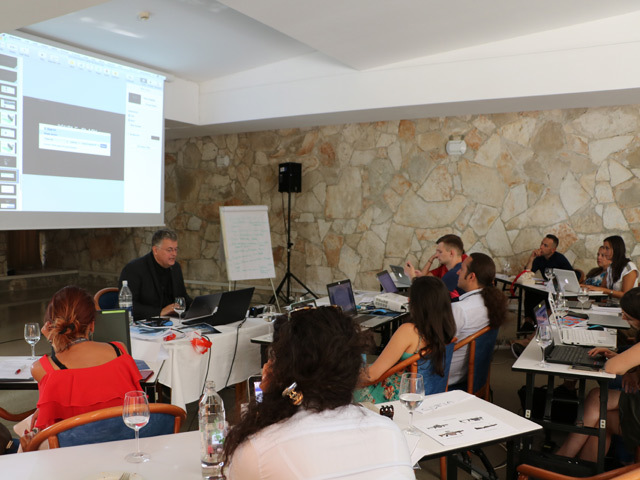 The training, which is held over five days each year, uses a curriculum based on the Investigative Journalism Handbook ‘Digging Deeper: A Guide for Investigative Journalists in the Balkans’, which was published by BIRN and has been translated into Albanian, Macedonian, and Serbian. BIRN’s Summer School is organised in cooperation with the Konrad-Adenauer-Stiftung’s Media Program- South East Europe, and funded by the Open Society Foundation, the OSCE Missions to Serbia and Skopje, the OSCE Mission in Kosovo, the US Embassy in Skopje, BIRN Kosovo and the Embassy of the Netherlands in Zagreb. Bringing high quality and high standards to investigative reporting in the Balkans, with the opportunity for wide dissemination of summer school journalists’ work in the Balkan region, and internationally. Promoting investigative journalism in the Balkans by publishing investigations produced by journalists trained at the Summer School. Training – BIRN provides five days of training based on the curriculum ‘Digging Deeper’. Financing investigative stories – BIRN provides financial support for the best story ideas put forward during the School. An average of three stories are produced each year. Journalists, media experts, investigative reporters from the Balkans; International journalists and media experts; Local, regional, and international media outlets. Digging Deeper handbook for investigative journalism, translated into Albanian, Macedonian, and Serbian languages. 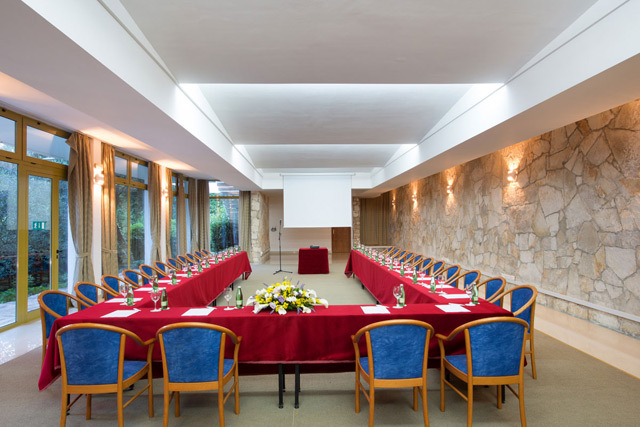 This year’s BIRN Summer School will be held in the stunning Croatian coastal city of Dubrovnik from August 20-26. The summer school will bring together some of the world’s best journalists and trainers for a six-day programme. Reporters will have the opportunities to learn cutting-edge investigative skills and enjoy the delights of the Adriatic Sea. Reuters editor Blake Morrison, three times a finalist for the Pulitzer investigative award, has been appointed lead trainer. He will be joined by multiple-award-winning reporter/editor Miranda Patrucic from the Organized Crime and Corruption Reporting Project and Henk van Ess, an expert in Open Source Investigative Journalism, plus others. During the sessions, journalists will learn how to dig for data, convince difficult sources to talk, transform their research into sparking prose and harness the power of video. All participants will have the opportunity to apply for the Investigative Story Fund andthe three best story ideas will be awarded with funding ranging from 1,000 to 3,000 euros. The location isMlini, a pretty fishing village located 10 kilometres south of Dubrovnik, the so-called ‘Pearl of the Adriatic’. It offers a quiet setting with stunning beaches and excellent seafood, while Dubrovnik itself is internationally renowned for its fascinating history and breathtaking architecture. On the fourth day of BIRN’s Summer School, trainers advised the journalists on how to pitch stories, structure investigative projects and use technology to assist their work. 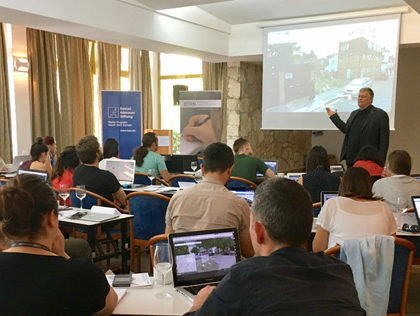 The fourth day of BIRN’s Summer School Master Class of Investigative Journalism in the historic town of Konjic in Bosnia and Herzegovina on Thursday started with a session on pitching story ideas, run by Blake Morrison, lead trainer and investigative projects editor at Reuters. Blake explained how stories can be pitched to editors without overpromising while bearing in mind all the possible outcomes. “As reporters, you’ll have real highs and real lows, and we have a job to even them up… Sometimes as investigative reporters we dig a dry well and that’s normal. But nevertheless, we aim to have less of them,” he told the participants. “Sometimes you work on a story that just doesn’t resonate. And that’s why we have to give them ‘legs’, which will make them have an effect,” he added. Blake explained that journalist should not promise too much from a story and must be realistic, but nevertheless should believe in the most positive outcome, while not pretending it’s possible to predict every possible outcome of their research. Blake concluded that journalists should know that they are not alone in their work, and if they do not have editors to support them, they should find support among colleagues or elsewhere. Lawrence Marzouk, a journalist and editor with Balkan Investigative Reporting Network, BIRN, shed light on a case study about the arms trade from the Balkans and Central Europe to the Middle East, a report that caused serious reactions in the countries mentioned. “You should first ‘pick the lowest hanging fruit’,” he said, while explaining how the reporting team tracked 1.2 billion euros of weapons sold to Middle Eastern countries. Marzouk explained how reporters, while researching a “controversial industry” like the arms trade, “have to harvest all the possible open source databases” because the industry is highly regulated, meaning that there is a lot of documentation. “To find the weakest link in the system, you have to know the system,” he. Participants then had the opportunity to discuss techniques and databases with Marzouk using the arms trade story as an example. Miranda Patrucic, an investigative reporter and regional editor with the Organized Crime and Corruption Reporting Project, presented her work connected to the Panama Papers, giving an insight into how the research was done. Patrucic explained how the offshore industry functions, through proxies, different types of companies, trusts and bearer shareholders. She also explained the interest countries with tax heavens have in allowing offshore companies to operate. “These island states are very small with small costs. And all the documents for opening offshore companies, such as a certificate of good standing, cost something and the states make a significant profit on it,” she explained. By showing concrete examples from the Panama Papers, Patrucic explained to the participants how to ‘follow the money’ and the businesses of offshore companies. The former editor at the Milwaukee Journal Sentinel, Martin Kaiser, ended the day with his masterclass session on investigative journalism. “First of all, a journalist’s first obligation is to the truth,” Kaiser said. He also said that stories must be interesting and relevant. “You got a significant story, how do you make it interesting? How do you make it relevant? How do you write in such a manner that it captures people’s attention?” Kaiser asked. He explained that contemporary journalism has to use all the newest technologies and tools for writing stories, but underlined that journalists should remain “great storytellers” who “shed light where there was darkness”. After presenting an outline of his work on a story about the high incidence of drunken drivers in the US state of Wisconsin, Kaiser gave the participants the opportunity to discuss what works and what does not in investigative journalism. The Summer School is organised by the Balkan Investigative Reporting Network, BIRN, in cooperation with the Media Program South East Europe of the Konrad-Adenauer-Stiftung and with the support of the Open Society Foundations and USAID Macedonia. On the third day of BIRN’s Summer School, journalists heard how to harness the power of social media, carry out interviews and develop sources for stories. 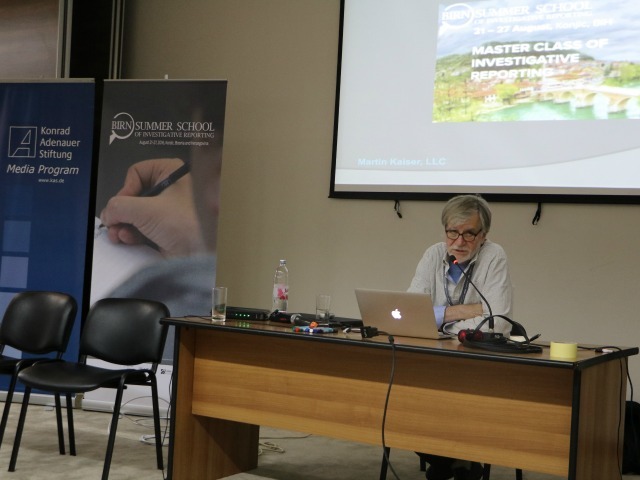 “If you have to approach the person on social media, try to do it over the publication’s [media] account and not your private account, and then people will attack your company and not you,” Myers told participants at the school, held this year in the historic town of Konjic, in Bosnia and Herzegovina. “In short, everybody we’re investigating is either on Facebook or has family on Facebook. The information you can get from different social networks, websites, directories are offering a mosaic of information that you can wander around […] proving things that need to be proved, finding new information you didn’t have before that will help to develop your stories,” he added. Blake Morrison, lead trainer and investigative projects editor at Reuters, held a session on the art of interviewing. Morrison said: “My philosophy on interviewing is pretty simple… Think of it as an important meeting. With a stranger,” explaining that the interviewee needs to “be understood”. “It’s important to be authentic, because people can tell when someone is unauthentic and misrepresent themselves,” he added. “If we do a job well, there is nothing to be embarrassed about. That’s the confidence I am talking about,” Morrison said. “It’s very important to be curious. If you don’t understand something, don’t presume, ask,” he concluded. He explained that there are three types of interview: information interviews, which involve collecting information on something; accountability interview, asking the person to explain his or her acts; and emotional ones, in which person sheds light on his or her emotional perspective. Morrison emphasised the need for preparation and gave an insight into why people agree to give an interview: vanity, need to be understood, self-interest, desperation, guilt and curiosity. 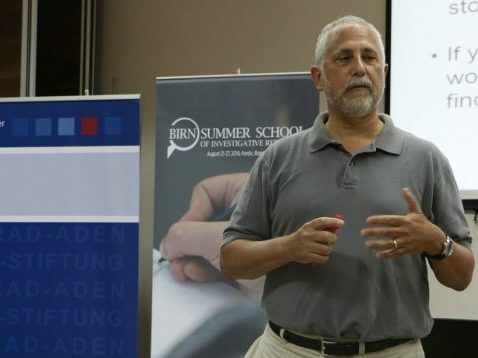 Jim Mintz, an adjunct professor of the Stabile Centre for Investigative Journalism at the Columbia Journalism School, spoke about how to develop sources. “I am here to spur your ambition to go deeper in developing sources,” he emphasised, “and not expose only people that are responsible for wrongdoings, but systems of wrongdoing”. “All investigative stories start from outside and one wants to get inside. Since things are in the heads of people, one must have skills for developing source,” he added, explaining that journalist must enter a “deep inside a secret world”. Mintz explained that entering this “secret world” will lead journalists into complicated “mazes” of complex relations and events. “In this maze, you’ll find people that genuinely can help you, that can guide you,” he said. Mintz explained that journalists should try to develop genuine relationships with sources. He concluded that it is very important that journalists work hard in order to gain the trust and respect from sources. After the joint sessions, participants split into smaller groups for sessions with Mintz, investigative reporter and regional editor with the Organized Crime and Corruption Reporting Project, Miranda Patrucic and former editor at Milwaukee Journal Sentinel, Martin Kaiser. 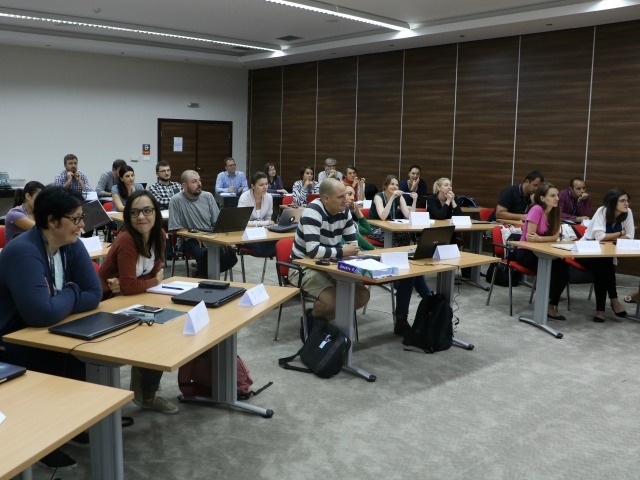 On the second day of BIRN’s Summer School, journalists learned how to creatively structure stories and use various databases and other investigative tools. 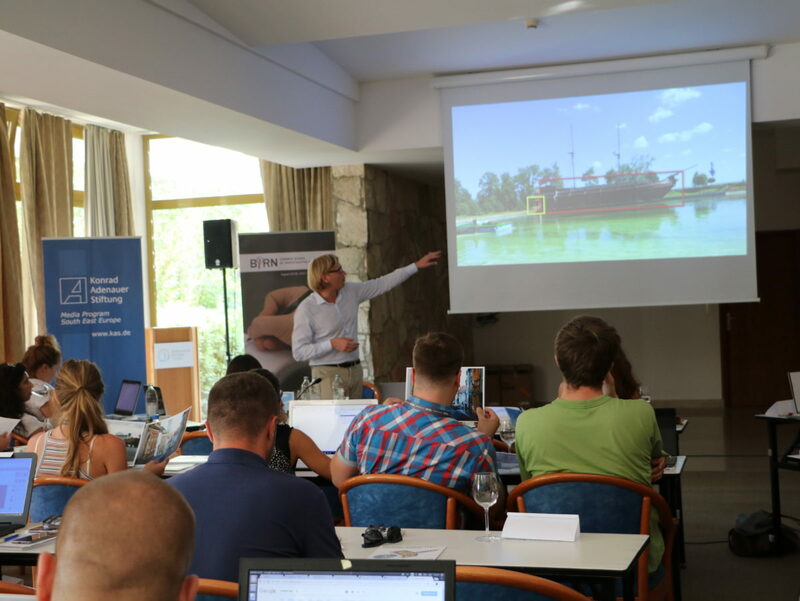 Lead trainer and investigative projects editor at Reuters, Blake Morrison, showed the participants of the BIRN Summer School Master Class of Investigative Journalism in Konjic, Bosnia and Herzegovina on Tuesday how to use a creative approach to structuring stories. Morrison emphasised the need to persuade people who are sceptical about the narrative. “Your job is to persuade people who fundamentally disagree with what you say,” Morrison said, underlining the importance of being imaginative when structuring a story. “I want you to imagine the best story possible. To ask yourselves: ‘What would be the best source [for the story] imaginable that’s out there,’” he said. “You need to believe that you’re able to make any story possible… but you need to manage your stories possible,” Morrison told the participants. He explained how all investigative stories should be explained within six words and can be described using three questions: what is the issue, what is the harm and who is to blame. Morrison concluded that journalists have to ask themselves the “so what?” question – why is something important – and “why now?” question, which explains the importance of the story at that moment in time. Also on Tuesday, Crina Boros, a watchdog reporter from Centre for Investigative Journalism, continued her training on data journalism, answering questions from the participants through stories she has covered over the years. She showed the participants how to use public registers and databases while writing stories. Miranda Patrucic, an investigative reporter and regional editor with the Organized Crime and Corruption Reporting Project, also held an interactive lecture on how to ‘follow the money’ and find sources for stories abroad. 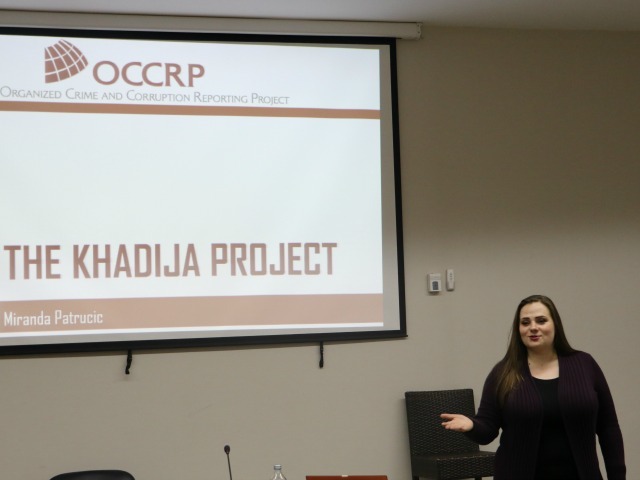 She presented The Khadija Project – named after Azerbaijani investigative journalist Khadija Ismayilova, who was imprisoned in Azerbaijan after reporting on the financial schemes of President Ilham Aliyev’s family. “One day she [Ismayilova] took part in a training, like the one you will get today, and learned how to follow the money abroad,” Patrucic told the participants. She did an exercise about tracking money and companies through various databases, both open-source and paid-for. Paul Myers, an expert in using social media for investigations, did a presentation on technical sites, tools and techniques. He showed how keywords are searched on Google and through social media, cutting the number of search results. “Logic dictates search on Google, so you have to think what you search and discover logic behind it and look for that in Google,” he explained, while showing practical examples. The seventh BIRN Summer School has brought together young journalists from Albania, Austria, Bosnia and Herzegovina, Bulgaria, Croatia, Greece, Hungary, Ireland, Kosovo, Macedonia, Montenegro, Romania, Serbia, Slovenia, United Kingdom and the United States of America.